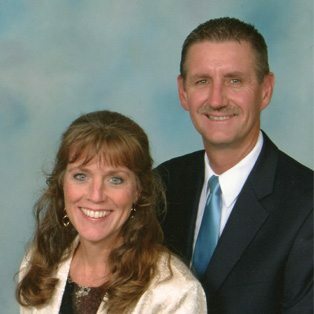 Ken Bruce Kemper graduated from Grace Bible College (now Grace Christian University) in 1985 and has served in vocational Christian Ministry his whole life. Ken has a Masters of Divinity from Grand Rapids Theological Seminary, and a PhD from Capital Seminary and Graduate School. Ken is the President of Grace Christian University in Grand Rapids, Michigan, since taking over for his father in 2003. He has a passion for courageously serving the Lord and has been given many great opportunities around the world to be “in the trenches” in full-time ministry roles. He, along with his wife, Kathy, and three children served 16 years in Tanzania, East Africa. In Africa they did evangelism and church planting as well as developing spiritual leadership. Teaching by action and engaging in service learning leading to transformation are important to Ken’s philosophy of ministry and education. Ken led hundreds of evangelistic endeavors and trained evangelists to do personal and open-air mass evangelism. Ken is passionate communicator of God’s Word who address various audiences around the country as well as internationally. Ken is a visionary and transformational leader called by God to serve with others in the work of God for redemption, transformation, and glorification. Ken and Kathy’s greatest joy is their three adult children Kaleb (Amber), Zechariah (Erin) and Naomi (John), who all graduated from Grace and serve the Lord in vocational ministry in locations around the world.